Jackdaw & Pilate Necklace Giveaway! You know that woman who always has her hair in that perfect messy bun, and she wears cashmere sweaters with jeans, boots, and scarves? 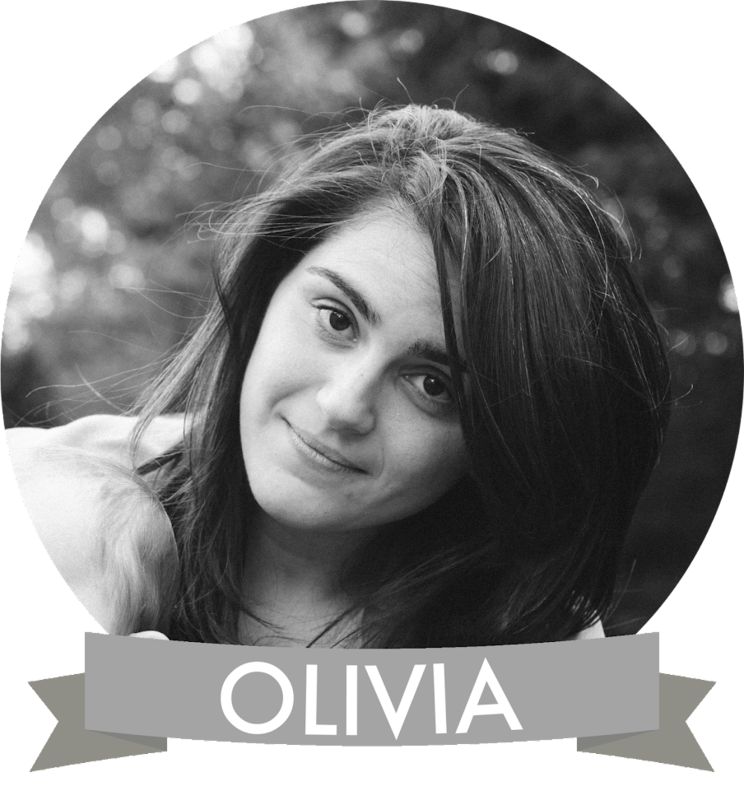 She laughs with glowing eyes, her cheeks have a sweet-apple natural blush, and she has a job like artistic font designer, or children's book illustrator, or professor of Victorian poetry. We all know women like this; we envy them, we want to be them: she epitomizes "cool." Well, I can guarantee you that this 'woman' buys her jewelry from Jackdaw & Pilate. 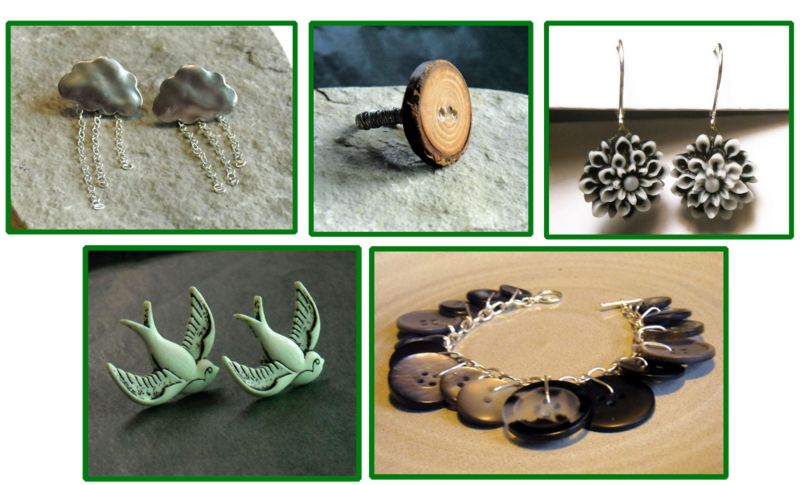 Jackdaw, which is based out of Toronto, Canada features jewelry "inspired by life, love & nature." It doesn't get more beautiful than that, does it?! 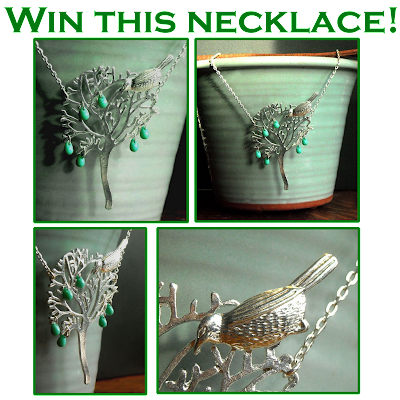 Well, now you too can finish off your easy, breezy, and beautiful look because Jackdaw & Pilate is very excited to giveaway one Silver Tree Necklace with Turquoise Beads to a lucky Lovely at Your Side reader! This lovely silver tree is so bright and shiny, and holds a little sparrow and six tiny turquoise Czech glass raindrops. The tree measures 2.5 inches tall and hangs, on a 16-inch, silver-plated chain, and closes with a sterling silver spring ring. How can you win this necklace?! It's so easy to enter! Head over to Jackdaw & Pilate and take a look around. Then leave a comment on this Lovely post telling us which piece is your favorite. You may enter as many times as you like. Make sure you include a valid e-mail address in your comment so we can contact you in case you win! Entries not including an e-mail address will not be considered. For additional entries: friend Jackdaw & Pilate on Facebook and comment here with your name; friend Lovely at Your Side on Facebook and comment here with your name. The contest will end on December 12th, at 12 PM EST. A winner will be randomly picked and announced the next day. Good luck! Update: We have a winner! Andrea (161) said "I like the Winter White Vintage Swallow Necklace." Thanks for playing! i love the Silver Bow Necklace - Tie Me Up.. simple but beautiful, i like it..
already send a request to Jackdaw & Pilate on facebook..
liked Lovely at Your Side on facebook..
stop by on my blog dear.. I like these earrings . friended jackdaw and pilate on fb under ana amanti . friended lovely at your side under ana amanti . I LOVE the Raku Buddah necklace! I also love the mint swallow earrings! Love the matte blue swallow earrings . . . very neat Etsy site! Black Filigree Leaf Necklace with Fire Polished Acorn - Winter Underwater is beautiful! Absolutely love the Simple Sterling Silver Earrings with Rose Quartz Beads - Petal! i absolutely love the mint swallow earrings! the tiny grey rose earrings are gorgeous too!! I think this tree is so pretty! Also loving the tiny skull and silver bow necklaces, and the rain cloud earrings that you posted! I love the Love Lock Necklace II - Smitten! I love the Wise Grey Owl Necklace - In the Branches II! I friended Lovely at Your Side on Facebook! Favorite is the Love Lock necklace ! I love the Black Filigree Leaf Necklace with Fire Polished Acorn - Winter Underwater. I also like the Black Tree Necklace - Forest Fire. The Silver Tree Necklace with Turquoise Beads - Rainforest that you are giving away is my absolute favorite. The wise grey owl is super cool. OMG. The Chrysanthemum earrings are too cute! Like, way too cute. I want one in every color. I love the wise grey owl necklace in the branches II. Thanks for this giveaway! Also, the tiny vintage flower cameo earrings are a beauty! thanks again. Christina - xristya@rock.com - I love the Black And White Chrysanthemums Snowy Night Earrings and the beautiful tree giveaway necklace with it s bird is truly special, I really really love it! I have many favorites especially the Rainy Day Cloud Earrings(Silver Lining)..so cute! I also like the Love Locket necklace! I also think the Butterfly Wing Necklace - Flutter is very pretty..love it!! I think the Tiny Silver Skull Necklace - Spirit would make a great gift for any skull lover! I am always looking for black rose jewelry so i really like the Blackbird Black Rose Earrings. I hearted Jackdaw & Pilate Etsy shop,as :"greenray" user. I really like the Matte Mint Swallow Earrings - Dawn Flight. I love Swallows. Befriended Jackdaw & Pilate on Facebook. Liked Lovely At Your Side on Facebook. i'm in love with the raku buddha necklace!!!! I love love love the rainy day silver lining earrings! The Love Lock necklace is so sweet! The tiny skull necklace is actually very cute. The Silver Bow Necklace - Tie Me Up is my favorite. I love the butterfly wings!! It's so classy, antique and extremely intricate! Super unique, love it much! The cloud earrings are gorgeous and unique as well!!!! It's super cute and perfect for a day out for a picnic! And it'll match with practically ANY outfit. Be it formal or informal. I just love all the pretty items!! How to choose lol. The black and white chrysanthemum earrings are lovely. My favorite is...probably the silver reindeer necklace. I love the black tree necklace- forest fire. I love the tiny silver skull necklace! 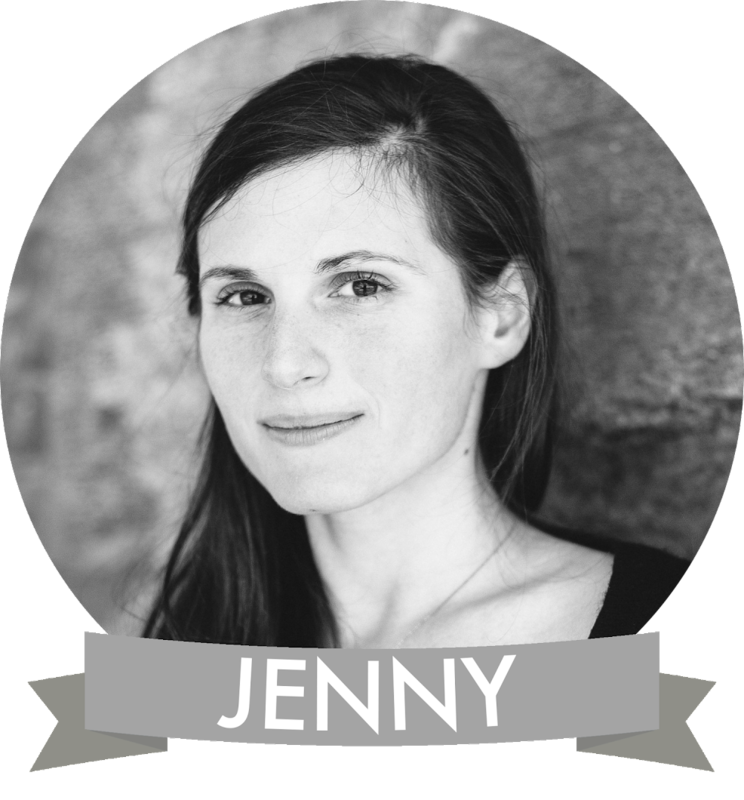 Friended lovely at your side under Jen J. Il on facebook! I adore the Black Tree Necklace - Forest Fire! The butterfly wing necklace is so lovely! And I try for the perfect messy bun but it typically ends up, well, just messy. I love the Tiny Grey Rose Earrings - Wisp! Also love the Silver Bow Necklace - Tie Me Up! Army Green Chrysanthemums on Sterling Silver Kidney Earwires - Olive Branch is one of my favorites too! Rainy Day Cloud Earrings - Silver Lining are so original and adorable! Love them!! I love cherry blossoms so the Pale Green Sakura Blossom Earrings - Frost are perrrrrfect! my favorite has to be the wise grey owl necklace! the black tree necklace is adorable too! i love all the different color chrysanthemum earrings, would be great for every day of the week! Ooh, I really like the Wise Grey Owl Necklace! Very pretty jewelry. I really like the Black Filigree Leaf Necklace with Fire Polished Acorn - Winter Underwater. I like the rain cloud earrings the best!!! This is weird and that's why I love it! i like the Love Lock Necklace - Swoon. It is very cute and delicate. What is considered an entry if a reader can "enter as many times as they like"? is this considered an additional entry? i also love the owl ring. I am loving the Grey Sakura Blossoms earrings. They are very pretty. I love the silver reindeer necklace. also the Hollyhawk Rain Earrings. I *LOVE* the rainy day cloud earrings. So adorable! The simplicity of the design is so wonderful! Oh, I really love the necklace in the giveaway. Another thing I love is the Matte Mint Swallow Earrings - Dawn Flight! The tiny silver drop is awesome! I love the Butterfly Wing Necklace. I have to say the silver tree necklace is my fave. love love love it. "Liked" Lovely At Your Side on facebook, couldn't find an add as a friend option. I love the butterfly wings and the wise owl necklace!! Love the Matte Mint Swallow Earrings - Dawn Flight! I've been looking for a perfect pair of black themed earringsand theTiny Black Rose Earrings on Black Leverbacks - Shadow are perfect! Tiny Silver Skull Necklace - Spirit has got to be the cutest skull themed jewelry I've ever seen! My favorite piece is the Raku Buddha Necklace. I sent a friend request to Jackdaw & Pilate on Facebook. I like the Black and Grey Button Bracelet! I LOVE the Winter White Vintage Swallow Necklace - Morning Flight. Beautiful! My favorite piece of all is actually the necklace you're giving away..it's beautiful! Such an eye and such craftsmanship! Gorgeous! I like the Winter White Vintage Swallow Necklace. OMG. The silver bow necklace is precious. Too precious! I like the butterfly wing necklace. The silver bow necklace is so cute! I love that it hangs at an angle! I love the silver bow necklace! I friended Jackdaw & Pilate on Facebook. I love the Vintage Green Glass Buddha Earrings! The Silver Bow Necklace is so pretty! The Aqua Crystal Necklace Raindrop is beautiful, too! Gorgeous pieces! The rainy day cloud earrings would be perfect for my daughter. Love the Army Green Rose Earrings - Camouflage! Winter White Vintage Swallow Necklace - Morning Flight is really pretty too! The Silver Bow Necklace - Tie Me Up is still one of my favorites! Rainy Day Cloud Earrings - Silver Lining would have been the perfect accessory for today's rain soaked Christmas shopping run! I would love to pair the Tiny Vintage Flower Cameo Earrings - Sprig with my cream colored vintage dress! One of my favorite items is the "Silver Reindeer Necklace - Vixen". Another item I like: "Army Green Chrysanthemums on Sterling Silver Kidney Earwires - Olive Branch". So pretty! I added Jackdaw Pilate as a friend, my username is wunderfraulein on FB. I like Lovely At Your Side, my username is wunderfraulein on FB. I loved the Black Filigree Leaf Necklace with Fire Polished Acorn - Winter Underwater. the grey sakura blossom earrings are gorgeous too! The silvertree necklace is my favorite! The Sakura blossom earrings are too adorable. Very sweet, and very delicate. I want one in every color available! I love the Aqua Crystal Necklace - Raindrop. I love Black & White Chrysanthemums on Silver Leverbacks - Snowy Night! I love Grey Sakura Blossoms on Sterling Silver Kidney Earwires - Chimney Smoke II as well! The rainy day cloud earrings are beautiful! And this giveaway is great!